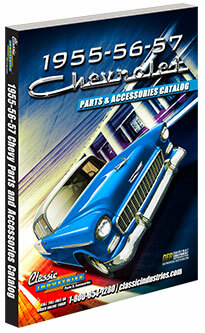 Classic Industries® has offered reproduction and performance parts for Chevrolet vehicles for over three decades, and our extensive offering of Tri-Five Chevy parts for restoration, performance, and customization includes nearly everything needed to restore or modify a 1955-1957 Chevy, from interior parts and soft trim, exterior sheet metal, moldings, emblems, weatherstrip and unique accessories, to nearly every nut and bolt needed for installation. 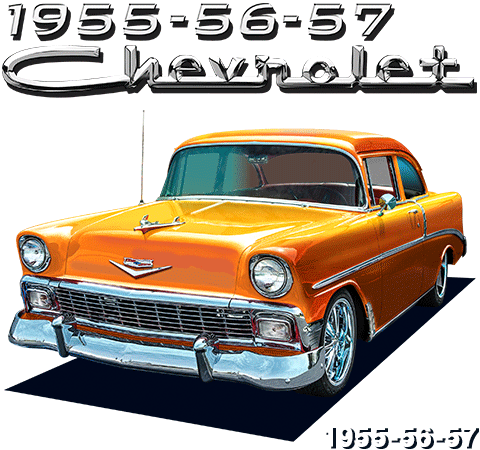 In fact, you could even build a Tri-Five Chevrolet entirely with the products offered in our parts catalog: body, frame, engine, suspension and all! We offer a comprehensive selection of reproduction, performance, modernization and restyling parts to suit nearly any build whether you're restoring a car to showroom condition, building a resto-mod, or anything in between. If you're looking for Bel Air, 210, 150, or Nomad parts, you've come to the right place.